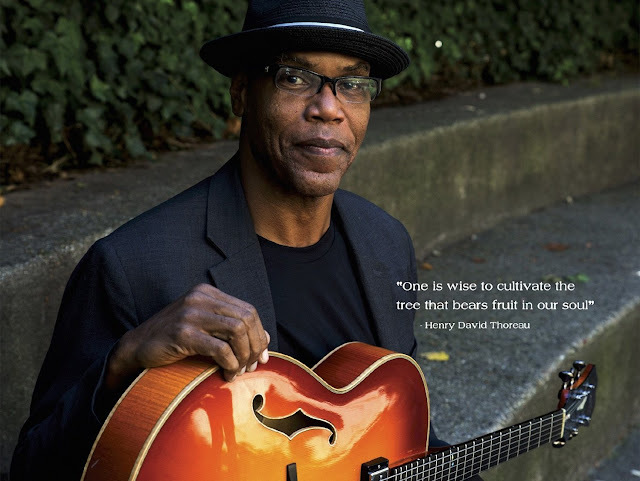 Ed Cherry is a veteran jazz guitarist with a bagful of bonafides. He was a student at Berklee in ’72, toured with Jimmy McGriff and Tim Hardin (among other jazz luminaries) and played in Dizzy Gillespie’s band for the last fifteen years of the iconic trumpeter’s life. Along the way, Cherry’s worked with a wide range of heavies, from Henry Threadgill and Oliver Lake to John Patton and Steve Coleman. His indispensability as a sideman may have curtailed his solo output, but Soul Tree (February 12, 2016, Posi-Tone Records) is his second for Posi-Tone four years after It’s All Good, his first for the label (and fifth overall). 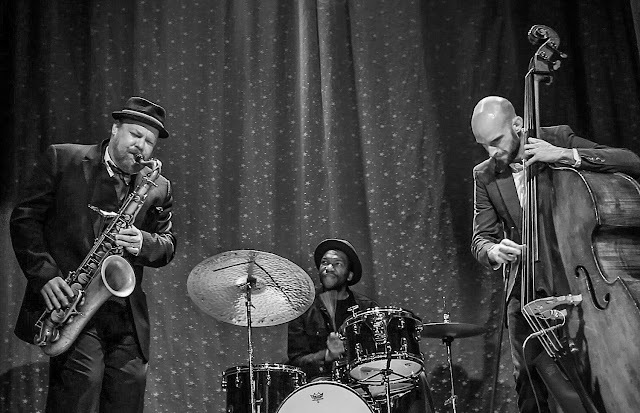 This one’s another organ trio setup like Good but it’s got Kyle Koehler on the Hammond B3 and Anwar Marshall on drums, and these guys aren’t slouches. Cherry himself is firmly in the old school of soul-jazz guitarists and his precise, understated style is smoky, cool and sweet. Kenny Burrell is the guy I think most of when I hear Cherry play. The fare for Soul Tree covers the gambit from Kool & The Gang’s “Let The Music Take Your Mind,” where jazz and RnB hand in hand, to the soulful swing put into Horace Silver’s “Peace.” In-between, Cherry and his own gang take on tunes that offer a different angle than the originals. A 2/4 swing caresses John Coltrane’s “Central Park West,” while Mal Waldron’s “Soul Eyes” is made into a mellow bossa nova with a heaping helping of octaves. The trio simmers on “A New Blue” a blues-based tune from Jimmy Heath tune and Cherry delivers tasty, relaxed single line notes. He’s got only two of his own songs here, enough to show he’s a serious composer in his own right. For the dynamic boogaloo “Rachel’s Step” Cherry gets funky, and Koehler puts in work on the organ like Dr. Lonnie Smith. 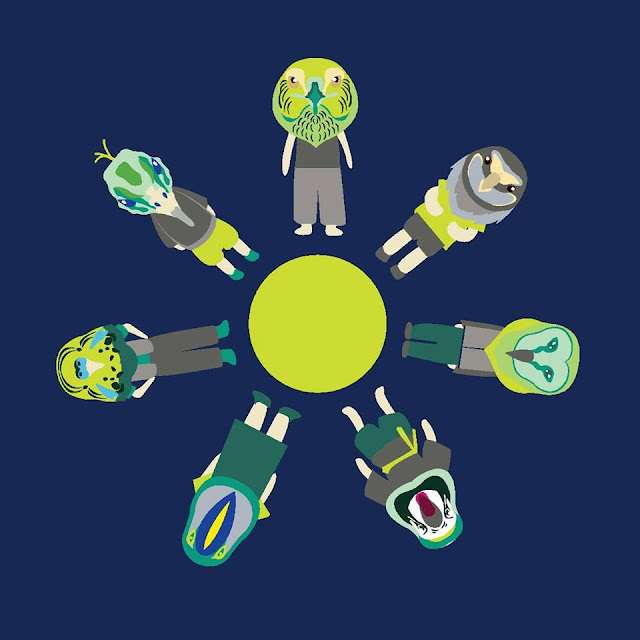 “Little Girl Big Girl” has a fetching, soulful melody and Cherry shows off nice rhythm chops. 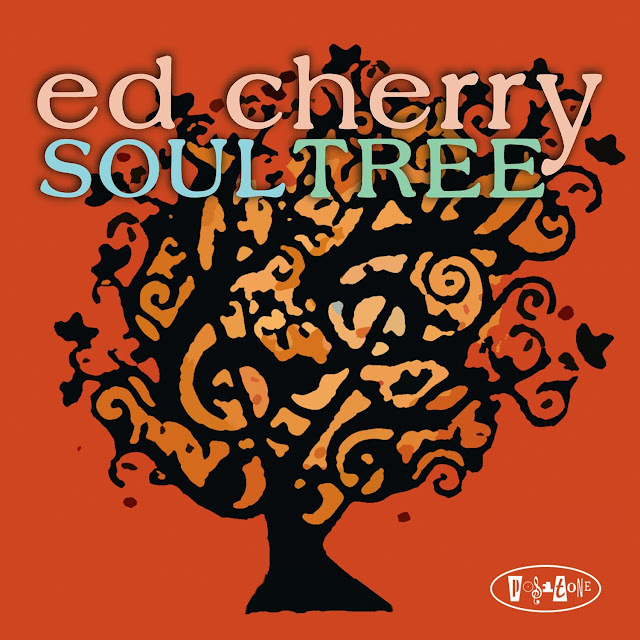 Soul Tree is that kind of fundamentally solid, guitar/organ/drums record that you’d expect from a seasoned hand like Ed Cherry. You won’t go wrong here. 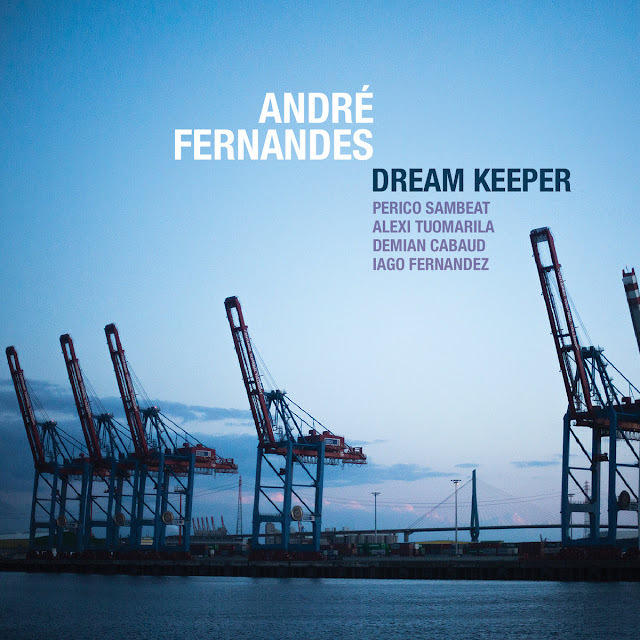 ‘Dream Keeper’ is a high-class and innovative set of originals that marks the first major international release from Portuguese guitarist and composer Andre Fernandes. Since 2002 Lisbon-born Fernandes has generated a wave of glowing reviews for appearances with some of the finest international musicians. 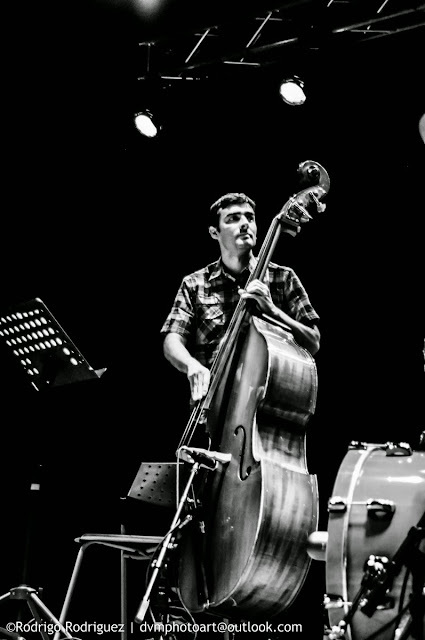 As a beacon of inspirational energy and determined spirit in his native Portugal, Fernandes has been described by Portuguese music critic, Rui Eduardo Paes, as ‘one of the most important Portuguese jazz musicians today, with credits that largely surpass the field of jazz and a continuous ability to surprise us’. 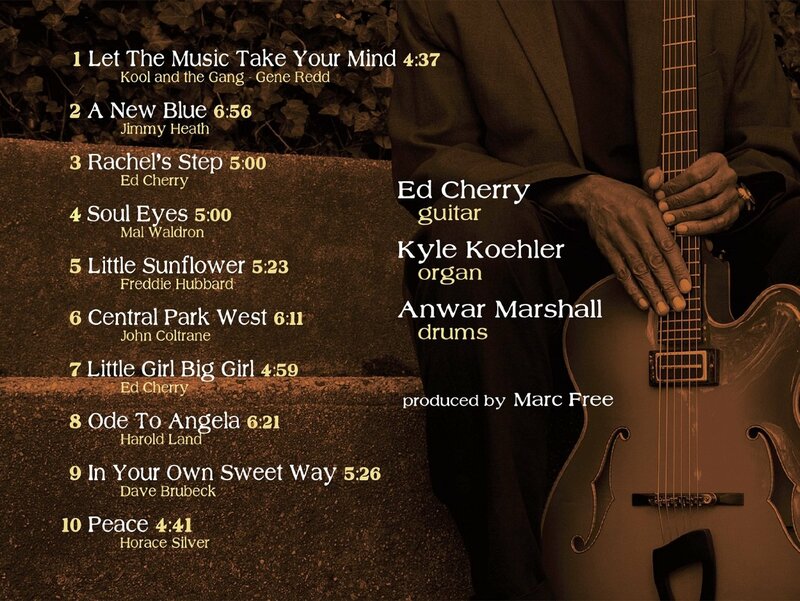 ‘Dream Keeper’ is a career defining album that draws together Andre’s strengths as composer, player and bandleader, with the help of a stellar cast of musicians, into one coherent and well-executed album. ‘Dream Keeper’ confirms Andre’s promise and offers him an opportunity to approach a global audience and ignite a glowing international career. Born in Lisbon in 1976, Andre Fernandes is a natural leader with an entrepreneurial spirit. In 2002, he formed T.O.A.P. (Tone of A Pitch), his own imprint, as a way to take control of his own destiny and as a vehicle for his talented cohorts. Driven by the desire to collaborate and an empathy and respect for his band mates, Andre has plenty to give. Compositionally, the music is bold with a determined spirit drawing on a wide array of influences and colours. 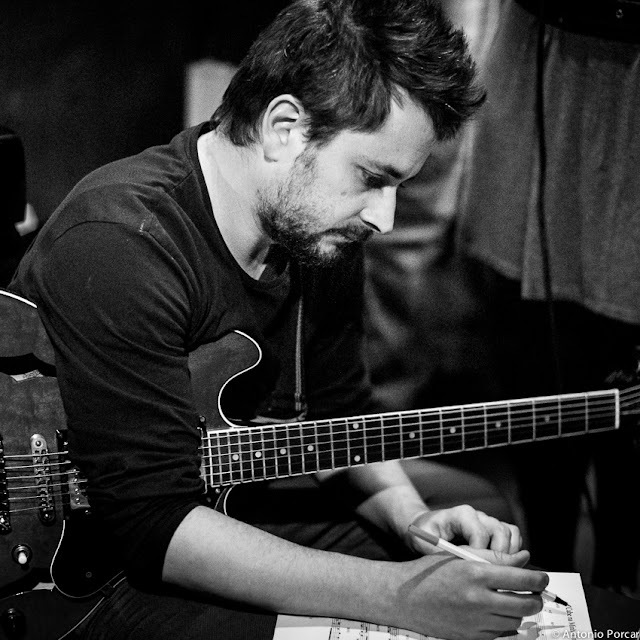 As a player, Andre has a commanding sound with inventive use of pedals, tones and colour. As a bandleader, he leaves space for others to shine and is able to bring the best performances from his musicians. There’s obvious mutual respect and friendship on offer and the music is the better for it. If ‘Dream Keeper’ is a sign of what is to come for this young, incredibly talented guitarist, then the next few years look very exciting. 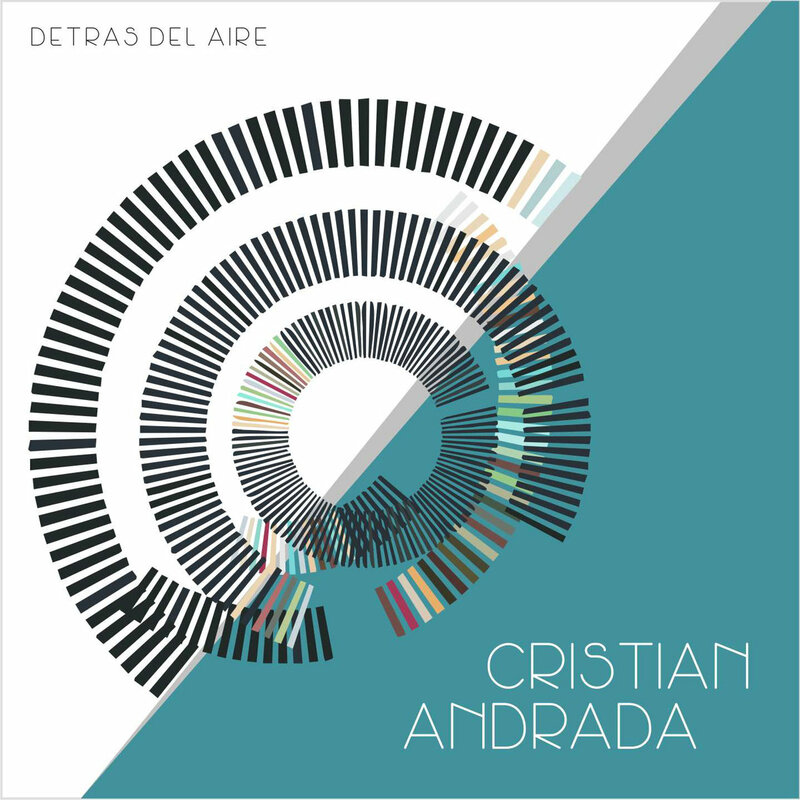 In year 2013, three great musicians met for the first time and played a musical suite - Ainavas (Landscapes) composed by Edgars Cirulis. Thusly Edgars Cirulis Trio was born, which later became Lark's Landscapers and finally just Landscapers. 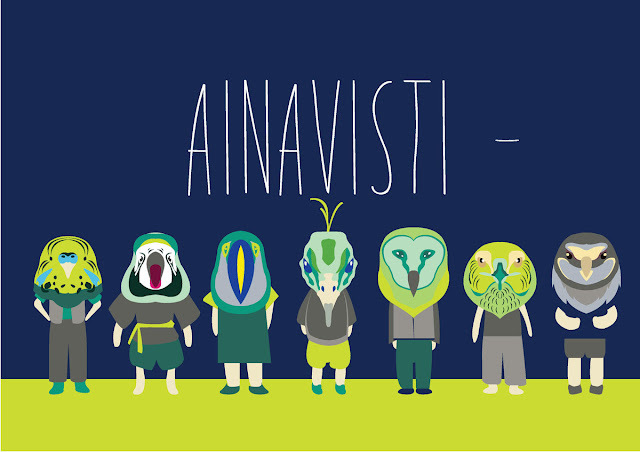 After two years of playing together, rehearsing and performing Ainavisti boldly stepped into the Sound Division studios and under the supervision of Ivars Ozols to record their debut album "Ainavisti -". Ainavisti perform original compositions which contain influences from very wide variety of music dialects and languages. Landscapes are written as a musical suite, where every piece has an independent meaning, but together they form a picture/landscape. The goal of Ainavisti is to introduce Latvian colors and identity to the world music language. Double bass player Cristian Andrada received a scholarship to complete his studies at the Rotterdam Conservatory, with Hans Roelofsen. Stefen Lievestro and Victor Kaiatu were two of his jazz teachers. He recorded Yuyos as a quintet leader. 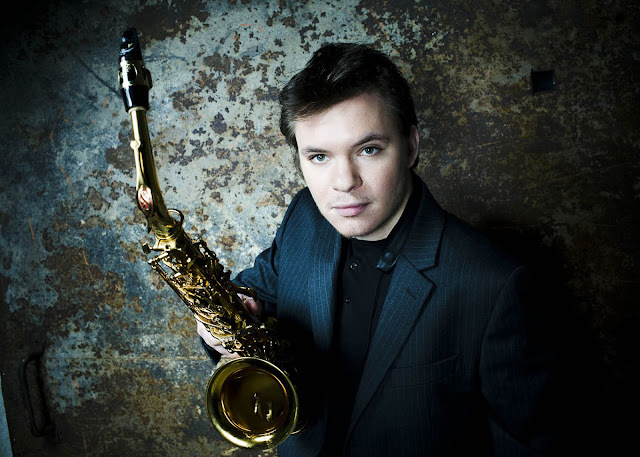 In a duo with Eduardo Elia, they play standards and original repertoire. 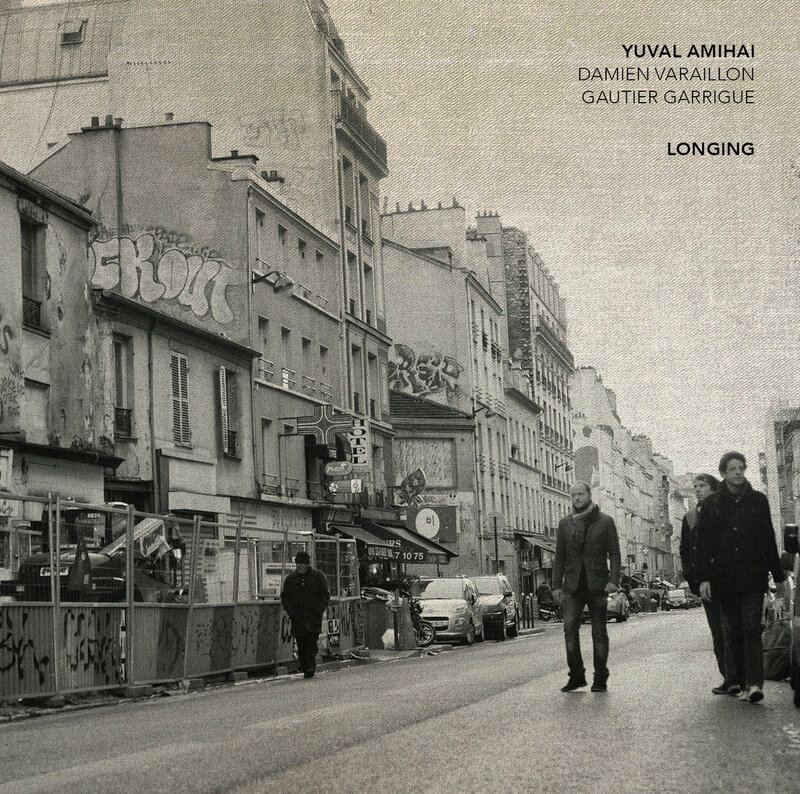 Trois ans après le remarquable premier disque de son Ensemble, le guitariste Yuval Amihai réduit la voilure et se présente cette fois en trio : il conserve à ses côtés le batteur Gautier Garrigue et intègre à sa formation le contrebassiste Damien Varaillon. Longing – un titre qu’on pourrait traduire par désir – frappe d’emblée par l’impression de paix qui s’en dégage et par la lumière qui l’irrigue tout au long des neuf thèmes qui le composent. Le lyrisme mémoriel qui caractérisait l’album précédent et le faisait chanter cède la place à une évocation intimiste, comme une confidence glissée au creux de l’oreille. Tout est douceur et élégance dans ce Longing dont la volonté de proximité est soulignée par une instrumentation épurée et l’exposition des mélodies sous forme de ballades au rythme d’un matin calme : fluidité du son de la guitare qui jamais ne recourt aux effets, comme pour mieux perpétuer l’héritage d’un Wes Montgomery ou d’un Jim Hall, pulsion feutrée de la contrebasse, caresse des balais ou swing souriant des baguettes. Un disque classique en quelque sorte, au sens le plus intemporel du mot, mais certainement pas une évocation passéiste. Et comme pour mieux abattre les barrières du temps, les rendre imperceptibles et en démontrer la vanité, Yuval Amihai choisit un répertoire mêlant standards et compositions originales. Si les premiers sont les plus nombreux (six titres sur neuf), la musique jouée est ici une et indivisible. « Skylark », « Lover Man », « Sandu » ou « My Romance » ont le même âge – l’éternelle jeunesse – que les petits nouveaux, « Longing » et « I Understand Now », signés par Yuval Amihai, ou encore le magnifique « Forest, Forgive Them », longue composition (plus de dix minutes) de Gautier Garrigue, peut-être le moment le plus émouvant d’un album dont on ne peut que constater avec ravissement les beautés formelles. Avec Longing, le guitariste veut à la fois célébrer le chant de son enfance en Israël et cette musique qu’il aime par-delà les frontières et qui le nourrit depuis toujours, ce jazz puisé aux sources de l’Amérique qui, loin d’être mort comme on ne cesse de l’annoncer depuis des décennies, est bien vivant. Yuval Amihai en fait ici la démonstration scintillante. As composer arranger Drew Paralic puts it, although he began studying the piano over 25 years ago, he soon realized that he had started too late to play at the same level as the jazz pianists he most admired—Thelonious Monk and Bill Evans—so perhaps he’d be better off sticking to the composing and leaving the playing to others. 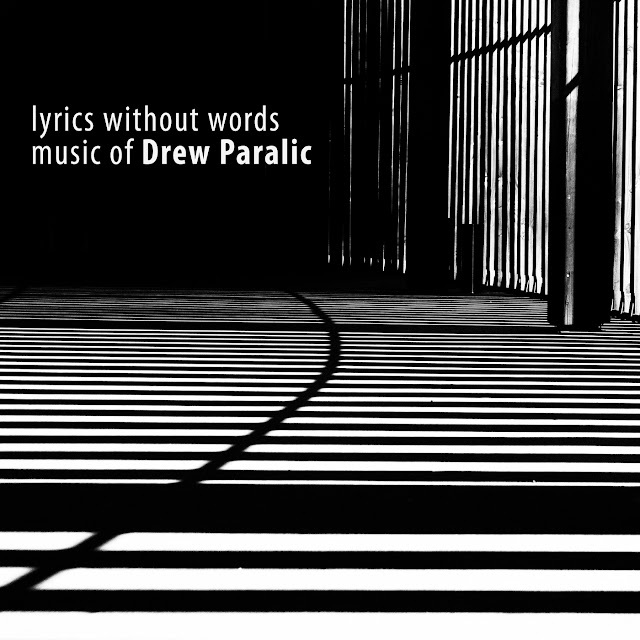 The latest result of this realization is his self-released album of what appear to be new arrangements of at least some of his previously recorded original compositions, Wintertime Tunes of Drew Paralic, featuring an ensemble of some very fine musical talent, sans Paralic. The CD includes four tracks of straight-ahead instrumental jazz with a blues vibe, bookended by a jaunty Christmas vocal and a lyrically uninspired love song. 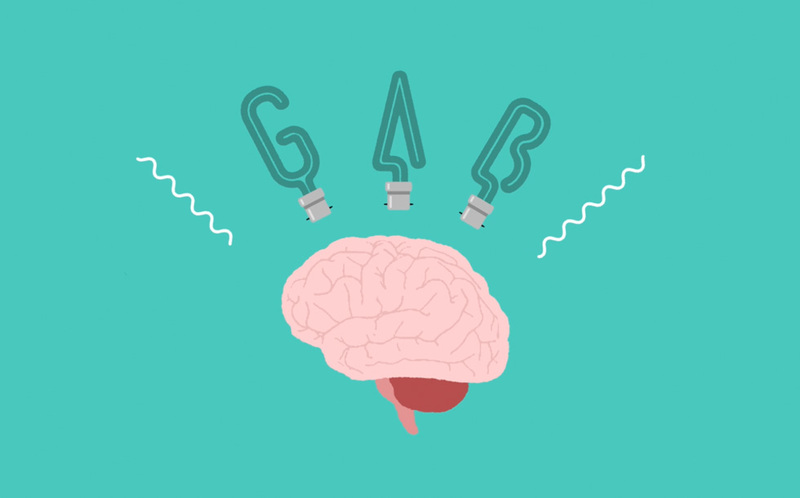 The four instrumentals are the heart of the album. There is one solo piano piece, “Steps,” played by James Newman. It is a melodic tour de force that would likely have appealed to any of the Paralic piano heroes. While Laura Kenyon, who does the vocals on “My Wintertime Sky” and “How Bill’s Heart Sings,” is a gifted songstress, I was less impressed with the songs themselves. “My Wintertime Sky” is a pleasant bauble to hang on someone’s Christmas tree; the lyrics from John Raymond Pollard are a bit too cute for my taste. “How Bill’s Heart Sings” is a little disappointing, more than likely because any song with Bill in the title has to compete in my head with Wodehouse and Kern. That’s probably not fair to Paralic and lyricist Thomas Raniszewski, but it is what it is. I don’t select a Best New Artist every year like they do at the Grammies, but if I were to do that, Matt Parker would have easily taken the prize in 2013 for his standout debut album Worlds Put Together. The tenor sax maestro strikes me as a Joe Lovano with the gumption of Rahsaan Roland Kirk or Eric Dolphy, a fun combination of qualities that is so mindful of the jazz saxophone’s soulful past while giving in to impulse, an oft-forgotten tenant of what jazz is about, too. 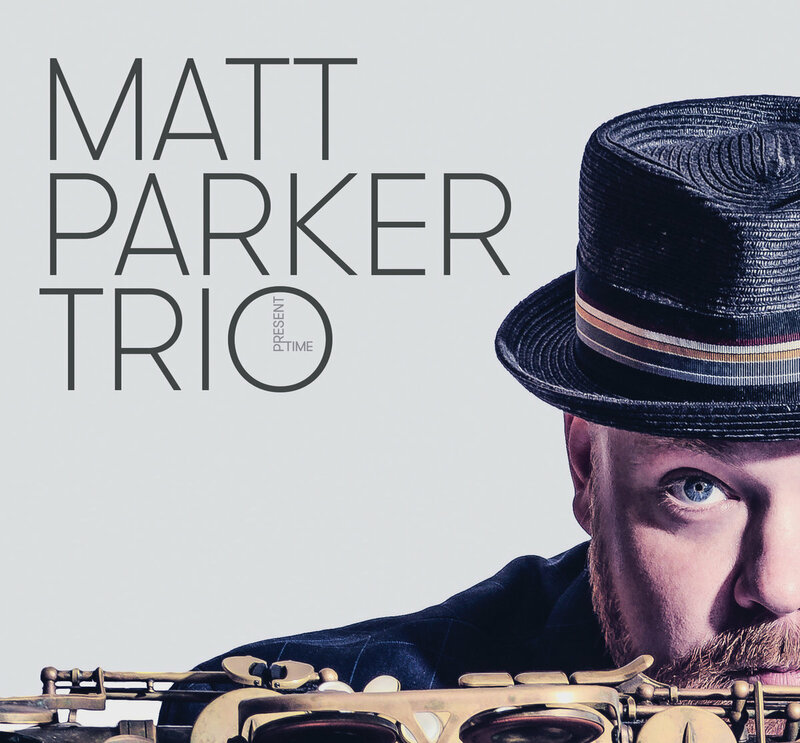 For Present Time (February 12, 2016 by Bynk Records), Parker puts his horn into even sharper focus by paring down his band to just the rhythm section of Alan Hampton (bass) and Reggie Quinerly (drums). It means that every note blown by Parker carries a heavier load and the revelation of Present Time is that he can not only handle it, he shines brighter as the spotlight gets hotter. Part of the secret to delivering when there’s no one there behind him handling the chord changes is being more personable in the delivery. Parker doesn’t fuss over whether he’s leaving behind too many notes or too few, as long as they carry out the right passion. No where can that be more evident than on blues numbers like “Noah’s Arc” and here he conjures up Coleman Hawkins in a particularly gruff mood. Contrast that with the cheerfulness of “Present Time,” a throwback melody played over Quinerly’s modern, almost drum ‘n’ bass beat that vacillates between 7/8 and 7/4. 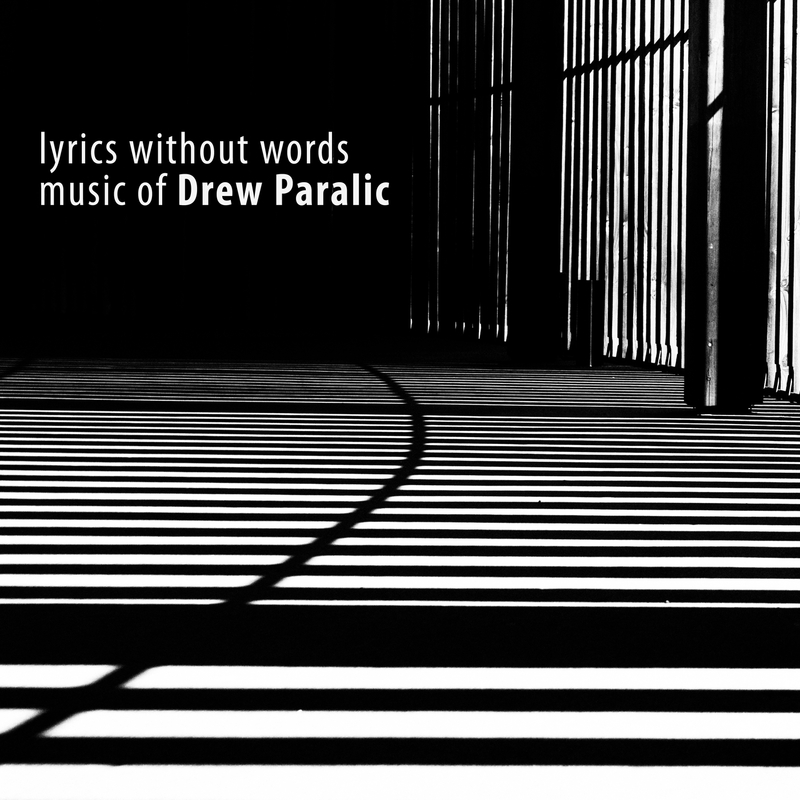 Parker is fond of stretching out toward avant-garde while maintaining a connection to tradition, as “New Horizons” makes clear. 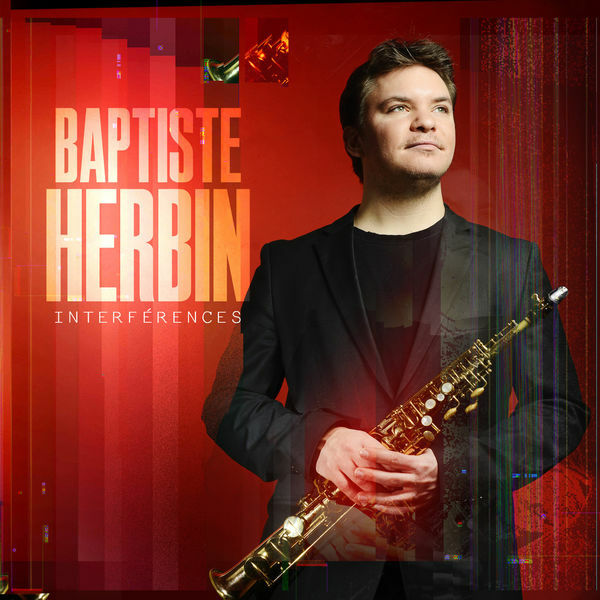 His wailing notes on soprano sax with an improvising Quinerly beside him is mindful of Coltrane/Ali’s Interstellar Space except that Parker is too melodically inclined to let it get that far outside. Halfway in he ushers in a new figure with Hampton, and pours out fills of trills with Hampton pulling out the bow. He goes without any accompaniment at all for “The Gong,” making exhortations first on soprano and then tenor sax (sounding as brawny as a baritone) punctuated by strikes to a gong. On his final note, he blows through both horns in a nod to Kirk. Parker showcases his facility for playing alongside a vocalist on a handful of songs performed with Emily Braden. Most of her performances are wordless, assuming a co-lead part that supplements Parker, but for the standard “I’m Confession’ (That I Love You)” she sings the lyrics while Parker goes into Lester Young mode. He proves to be a fine accompanist behind Braden, acting almost as a harmonizing voice, and amps up the energy level a notch for his solo turn. The only other non-original is a Charles Mingus composition that has never been fully recorded. “Song To Keki” is a pretty reading of Mingus’ melody, but when he enters the solo portion he flies off into orbit, returning still feelin’ jaunty and improvising like no one in particular. 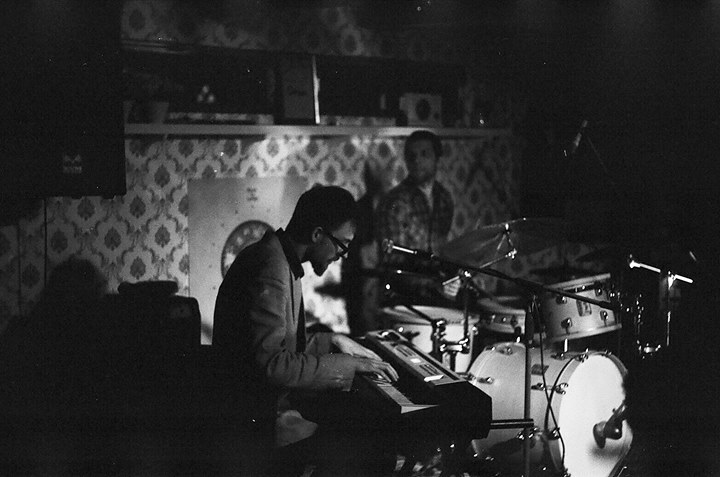 The days when a teenaged Parker was just getting started playing in New Orleans are alluded to in the second line pulse of “Sixteen,” with Jerome Jennings (Sonny Rollins, Christian McBride) adding tambourine. Parker cuts loose on tenor in a funky aside that surely would have filled up his saxophone case on a French Quarter street corner. It’s a nice and tidy wrap up of the whole album.